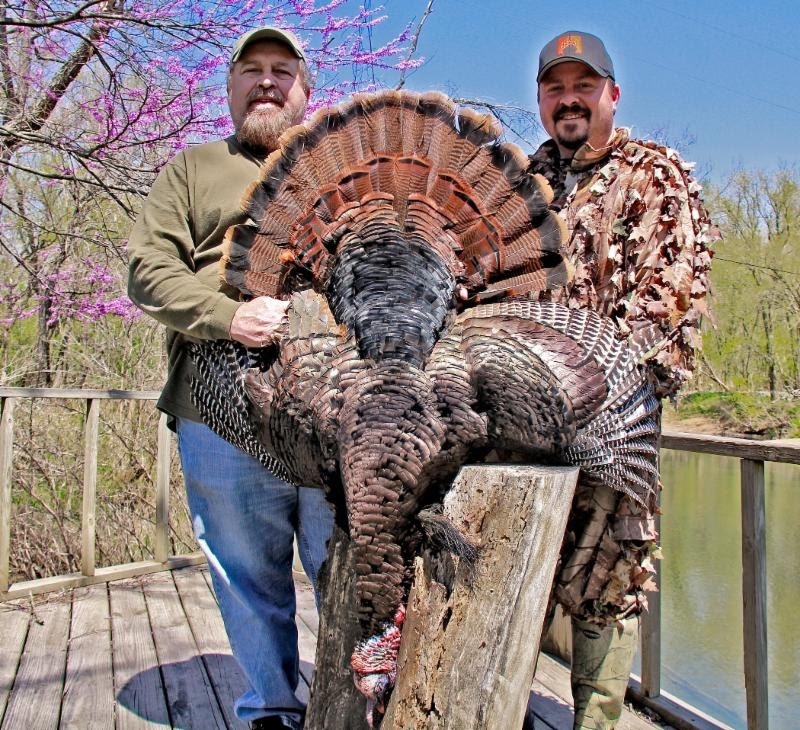 Ray Eye and Brandon Butler pose with a giant Big Piney turkey Butler took on a hunt together a couple of years back. Ray Eye knows a thing or two about wild turkeys. Thankfully for hunters across Missouri and beyond, he likes to share his knowledge. 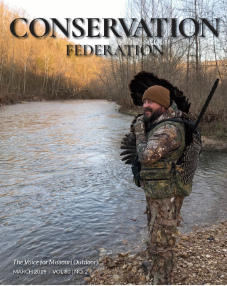 In this episode of the Conservation Federation Podcast, host Brandon Butler visits with Ray Eye about his Missouri roots and youth hunting, while grilling the legendary sportsman for some Ozark Mountains turkey hunting tips. Called “America’s Premier Turkey Hunter” by The Wall Street Journal, Eye has communicated his expertise on turkey hunting and the outdoors for more than three decades. He has hosted several national television shows, written for national outdoor publications, has his own outdoor radio show in St. Louis and conducts seminars across the nation. His book, “Ray Eye’s Turkey Hunter’s Bible: The Tips, Tactics and Secrets of a Professional Turkey Hunter,” is a definitive work on how to hunt to wild turkeys. Before wild turkey populations were restored across America, Ray Eye was born into a hunting tradition rooted in one of the remaining turkey strongholds, deep in the Missouri Ozark Mountains. He began his turkey hunting career at an early age. Fancy camouflage clothing, calls, magnum shells, decoys and extra-full turkey chokes didn’t exist. Eye was an early pioneer in outdoor television, promoting hunter safety, outdoor skills, outdoor ethics and sound conservation principles as far back as 1983. An icon of the turkey hunting world, Eye absolutely loves teaching others about hunting wild turkeys. He holds crowds spellbound with his informative and humorous seminars and presentations. Eye is a conservation communications giant. His accomplishments could fill volumes, including being named CFM Communicator of the Year and NWTF Communicator of the Year. He has generated and created an awareness of our great outdoors and the issues surrounding them in millions of Americans. Ray Eye is one of a kind. He’s a natural storyteller, gifted hunter, excellent photographer and videographer, and has a strong passion for his Missouri roots. So sit back, relax and learn a thing or two from Missouri’s favorite turkey hunter, Ray Eye. and the CFM website at www.confedmo.org/podcasts/. You can subscribe to the podcast to ensure you won’t miss a single episode.